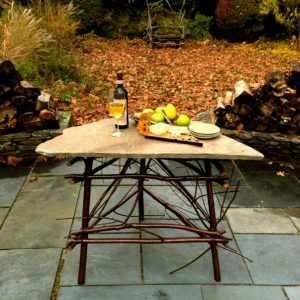 These bittersweet tables can be used outdoors on a patio or inside the home. I usually build small tables that fit nicely in a hallway but they are also suitable for home libraries. Because my tables create a calm and soothing air, I think of them as best situated when they are seen as one enters a home. 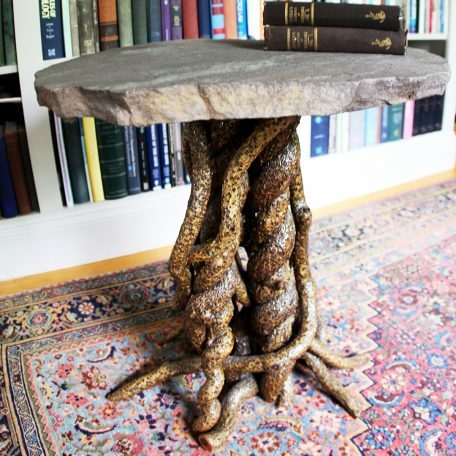 They bring a simple, yet elegantly powerful, message from the natural world into our human space. 29.5″ high. 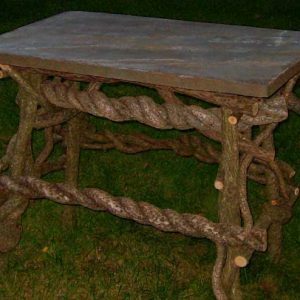 Pin Cherry Twig Furniture Corner Table with triangular bluestone top. 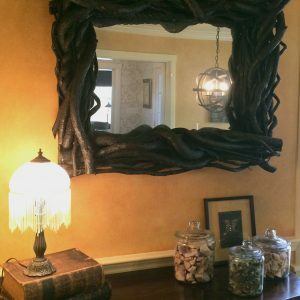 Oval bittersweet mirror – oval mirror with bittersweet vine frame. 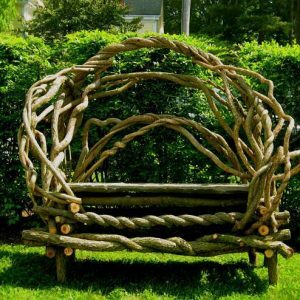 Custom handmade bittersweet bench with bluestone seat. 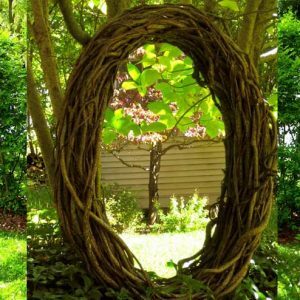 Blends perfectly with the surrounding flora of your yard. Sealed with epoxy and spar varnish for durability and weather resistance. 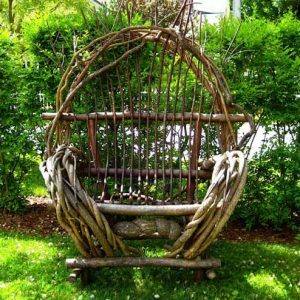 39″w, 50″h, 34″d Bittersweet Chair. Large, throne-like chair, aesthetically pleasing and ergonomically comfortable. Dramatic in a back yard or indoor setting. 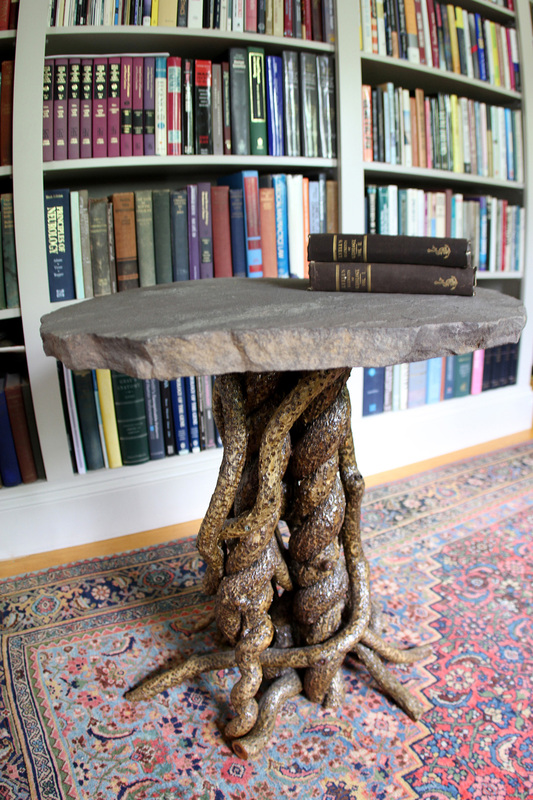 36″w, 27″h, 25″d Bittersweet Hall Table with stone top. 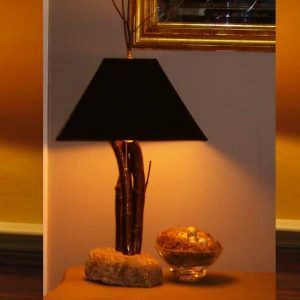 22″ high Bittersweet Vine Lamp with felt-covered granite base. 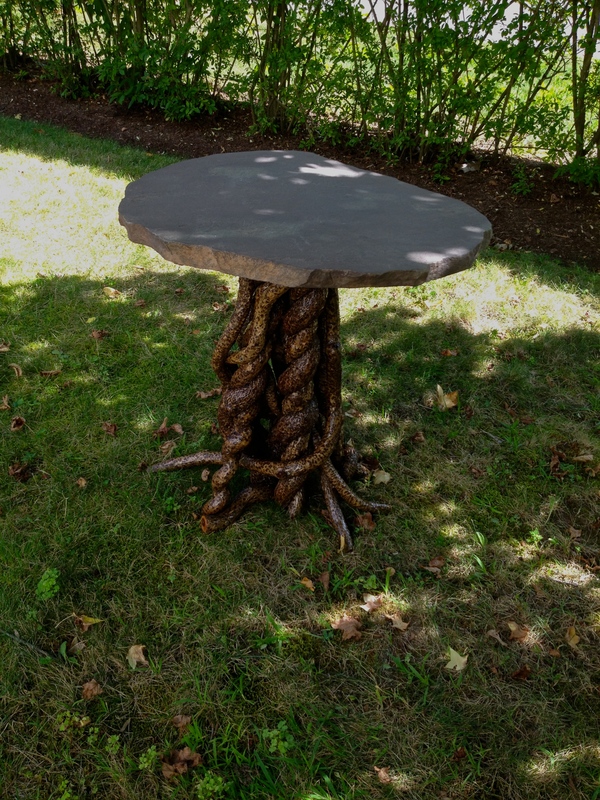 24″ High. 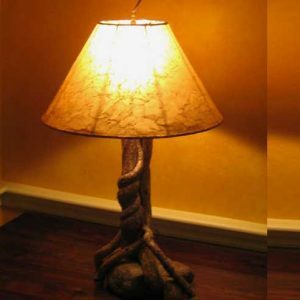 Elegantly rustic Pin Cherry Lamp.